JULY/AUGUST 2007 -- Frank Prelli, 91, born May 22, 1916, in the Riverton section of Barkhamsted, died on Friday, July 13, 2007. He is the son of the late G. Antonio Prelli and Maria Minacci Prelli. He was predeceased by his brother, Peter and sister, Clara Prelli. He is survived by his wife, Gertrude (Peggy) Prelli; his son, Philip Prelli and wife Maureen; his son, Mark Prelli and wife Cindy; his daughter, Gail Prelli and husband Charlie Bierce; four grandchildren, Jennifer Prelli Hester, Marie Keefe, Mark Prelli II, and Faith Prelli and four great grandchildren. He is also survived by a sister-in-law, Margaret Prelli. He was past master of Victory Grange, Mountain County Pomona and the Connecticut State Grange, a life member and past master of St. Andrew's Lodge AF&AM, past patron of Magnolia Chapter of Eastern Star OES, a 55-year honorary member of Niagara Engine 3 Winsted Volunteer Fire Department and served as treasurer for many years. Frank is a veteran of World War II, former selectman of the Town of Winchester, and a founding member of the Winsted Ambulance Association. A machinist by trade, he later formed his own insurance agency, where he worked for over 25 years. Funeral services will be held on Monday, July 16, at the Riverton Congregational Church. 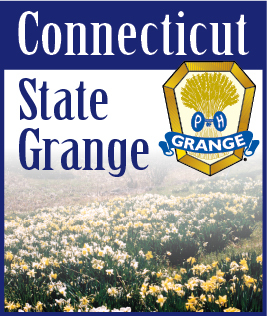 Calling hours will be at the Maloney Funeral Home, 55 Walnut St. on Sunday, July 15, from 2 to 4 p.m. and 7 to 9 p.m. Memorial donations can be made to the Connecticut Granger, St. Andrew's Masonic Scholarship fund or a donation of your choice.